Extra! More newspaper jobs get axed. 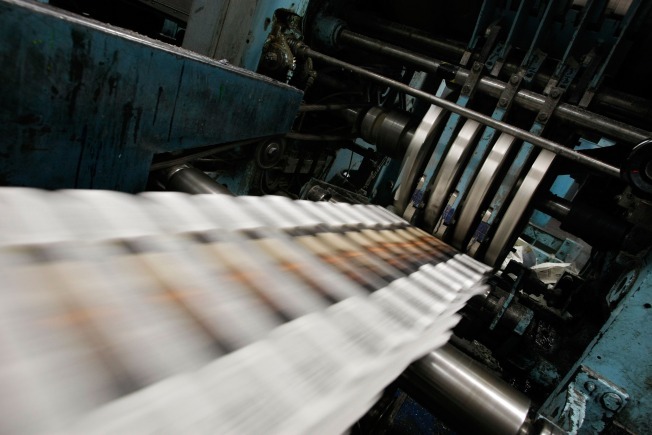 BUFFALO, N.Y. — Daily newspapers in Albany and Buffalo have announced cutbacks due to the economic downturn and declining ad and circulation revenue. The Buffalo News told its employees on Friday that it may have to lay off 52 employees. A memo sent to employees from Publisher Stan Lipsey said February was the fourth consecutive month when the company struggled with profitability. The layoffs would be split among circulation, editorial, classified advertising, accounting and marketing. The Times Union of Albany also is laying off an undetermined number of employees as part of an effort to reduce operating costs by 20 percent. Publisher George Hearst says job cuts will be made across all departments and will affect both union and non-union workers.